Leopoldo Villacorta is the Country Coordinator of Biz Latin Hub`s operations in Peru. Leopoldo is a Peruvian citizen, born in Lima and later in his life he travelled to the United States to live and study in California, at California State University (CSU), where he earned his Bachelor of Sciences in Business Administration with an emphasis on international business. After graduating, he was an Office Manager for Ryerson Holding Corporation, a US-based multinational firm. He then returned to Lima and has filled numerous leadership and managerial roles, which included working in the World Bank in cross-cutting solutions area, a global practice that encompassed climate change, gender, public and private partnerships, employment, conflict and violence. Since 2015, Leopoldo has been involved in the local startup community, co-founding and managing an API technology services startup as well as negotiating partnerships with local companies and companies in Silicon Valley. 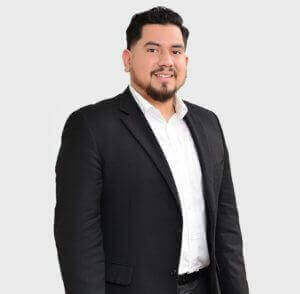 At Biz Latin Hub, not only does Leopoldo coordinate all office operations, he is also responsible for ensuring the smooth completion of projects, maintaining fruitful relationships with his international client base and assisting companies to set-up their operations in Peru. Amongst his clients at Biz Latin Hub, there are global public companies that trade in the London Stock Exchange FTS100 Index and the Toronto Stock Exchange. In addition, Leo routinely assists and represents clients in the mining, tourism, transportation and commercial industries. Leo specializes in management, entrepreneurship, and leadership. He also has skills and knowledge in international business opportunities, business development, international sales and managing international projects, with experience in information technology and market analysis and validation. Leo is bi-lingual, English and Spanish. 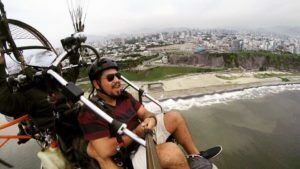 In his free time, Leopoldo likes to enjoy the wonders found inside Peru, from travelling constantly to the Peruvian rainforest in Pucallpa to Paragliding in the Costa Verde in Lima. Contact Leopoldo at [email protected] and see how Leo and his team can support your business in Peru.